BARC Recruitment 2018 2019 Application Form for 15 Medical Officer Posts Download Application through Official website www.barc.gov.in. BARC Medical Officer Jobs Notification 2018 Released. 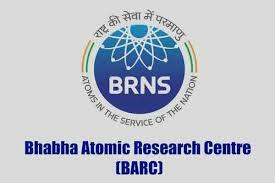 BARC invites Walk in Interview for appointment in following Medical Officer post in Bhabha Atomic Research Centre. Candidates are requested to Download Application through Official website www.barc.gov.in. Prospective candidates will have to before Walk in Interview carefully reading the advertisement regarding the process of examinations and interview, eligibility criteria, Offline registration processes, payment of prescribed application fee/intimation charges, BARC pattern of examination, BARC Syllabus, BARC Question Paper, BARC Walk in Date, BARC Result Date etc. MS/MD/DNB degree or Diploma from recognized university in the concerned specialty. The candidates having Diploma must possess minimum 2 years of Post diploma experience in the specialty concerned. Jr. Resident Doctor - MBBS from recognized university with one year internship from recognized institution. Consolidated pay: Rs. 48,000/- per month. Sr. Resident Doctor – MBBS degree from recognized university plus Post Graduate Diploma in the requisite discipline recognized by Medical Council of India or MBBS degree along with one year experience as Junior Resident Doctor preferably in the requisite discipline. Consolidated Pay: Rs.50,000/- per month. Pay Scale: Consolidated monthly pay - Rs.60,000/- for the 1st year, Rs.62,000/- for the 2nd year and Rs.64,000/- for the 3rd year. Interested candidates may attend the interview along with one set of attested Xerox copies as well as original certificates of date of birth, educational qualification (Class X, XII, MBBS and Post Graduate Degree – year wise Mark sheet, Degree, Passing and Internship completion certificate etc. ), registration and experience certificate, One passport size self photograph at 1st floor Conference Room, BARC Hospital, Anushaktinagar, Mumbai – 400094.